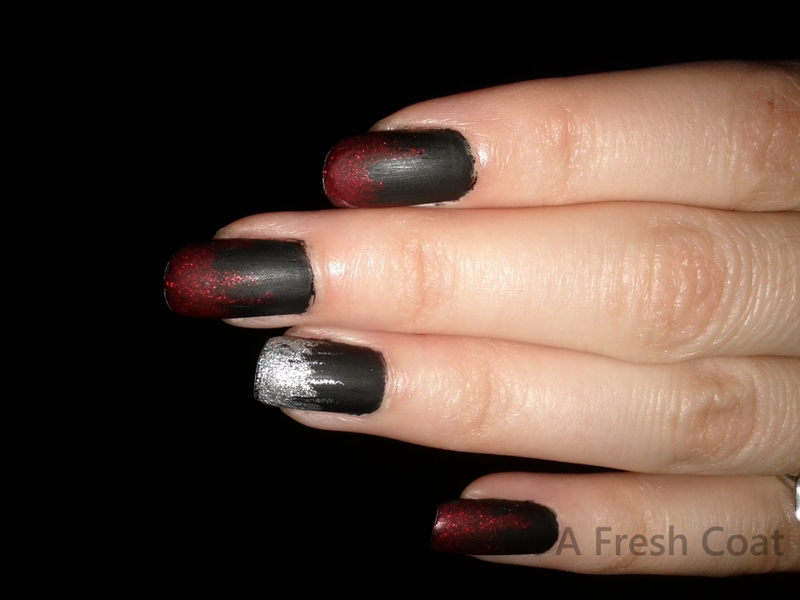 Since Halloween is creeping up, I thought it would be fun to start my Halloween manicures. Plus, I wanted to have fun with my new matte top coat. Matte nails look awesome in person, especially when you are used to shinny nails. It’s a big difference and a nice change.